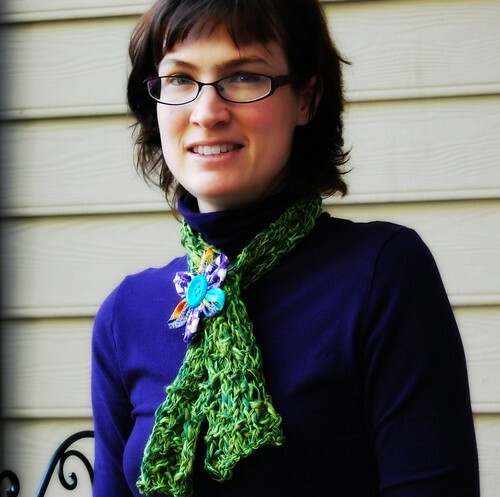 Earlier in the month I blogged about September knit/crochet goals. I really haven't been doing great with getting those specific goals done. However, I thought I'd share some photos on what I have accomplished. 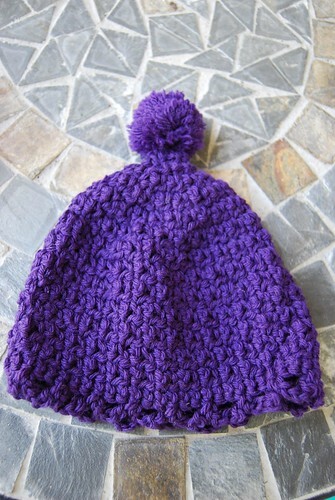 First on the list is to knit a baby hat. I was going to do this for Mornings With Brant's Knit, Pray, Love project. Originally they said items had to be knitted but have since changed to allowing crocheted items so I think this crocheted hat will count for that. I'm planning on making more! I also haven't gotten to work on the monkey for Caitlin. 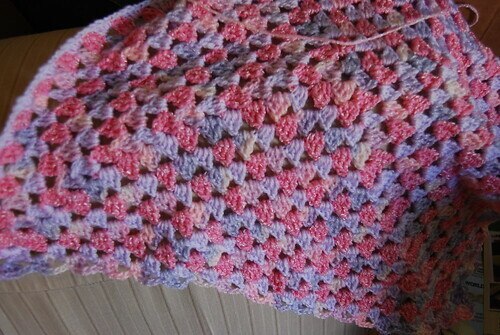 This is the WIP baby blanket for Heather. I've made progress but haven't finished. 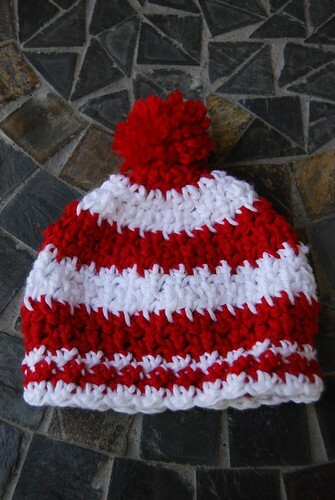 Here's the hat for Brandi's baby-on-the-way. It still needs a flower or some kind of embellishment, and I'd like to make booties to match. 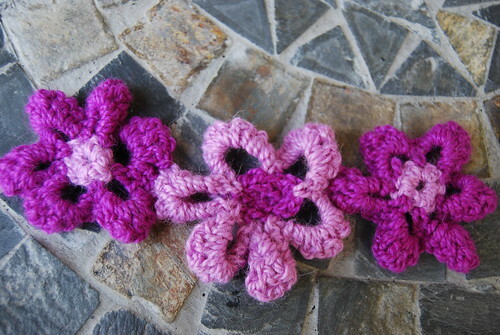 This is the start of the flower scarf. I haven't progressed any since my original post. I've also made a Where's Waldo? 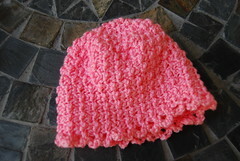 baby cap that I think will go to Kelly. I've learned to knit. 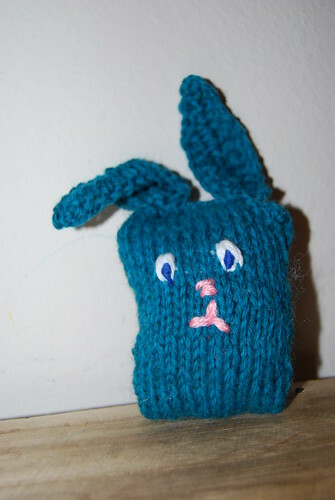 This bunny is made out of my practice knitting. I like the scarf! I like the flower scarf idea as well! I'm going to figure out how to do some fun crochet stuff like this soon. 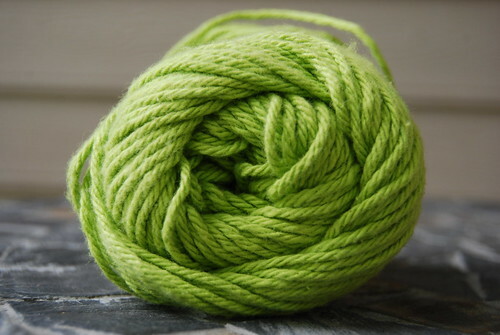 I've finally learned to do two color knitting, but that's as far as I've gone in the knitting foray.